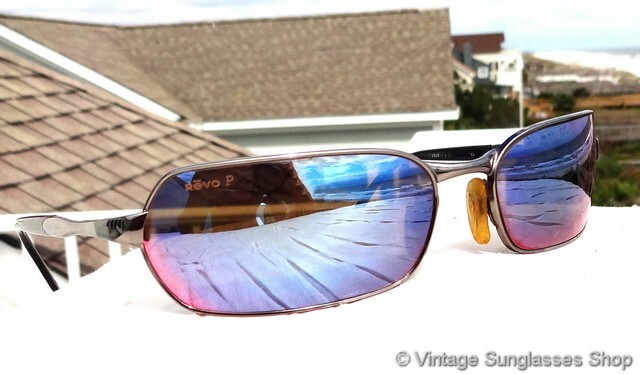 1 Vintage Revo 3025 stealth mirror H20 sunglasses are notable for the loosely hexagonal lens shape and the subtle wrap design to provide a closer contour to the face. 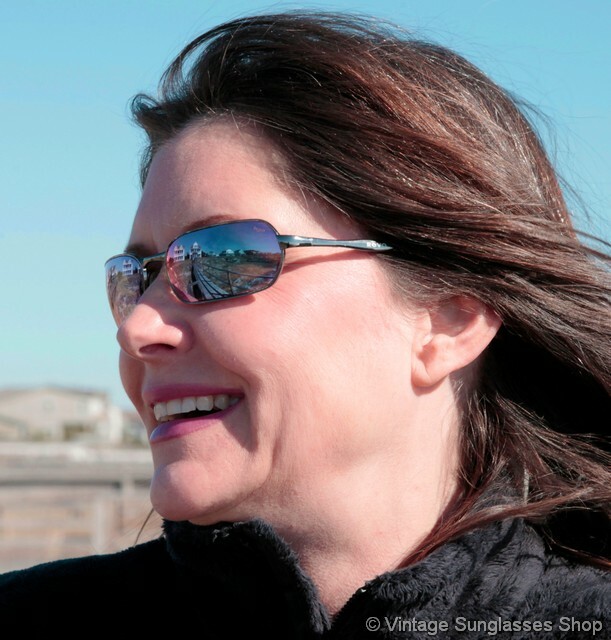 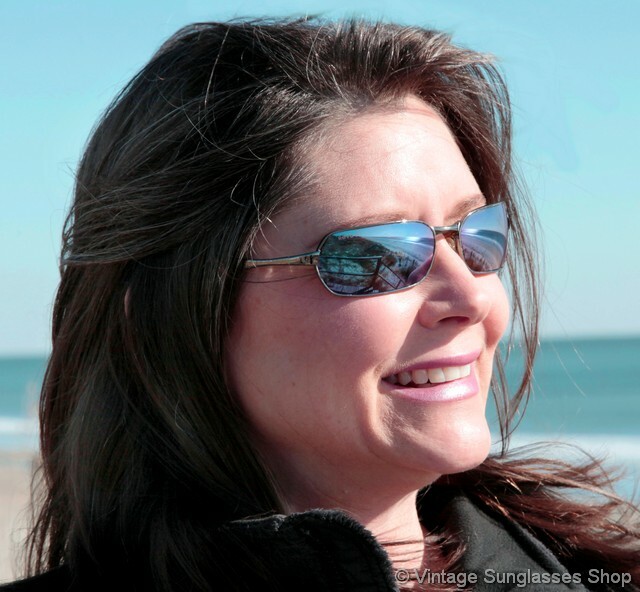 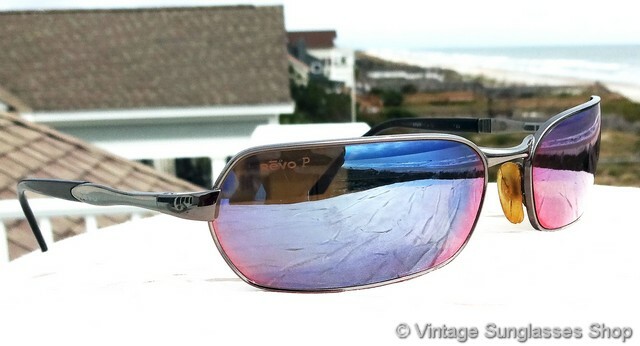 The Revo stealth mirror polarized H20 lenses are highly reflective silver - blue in color but pick up plenty of hues of red and purple out in the sunlight. 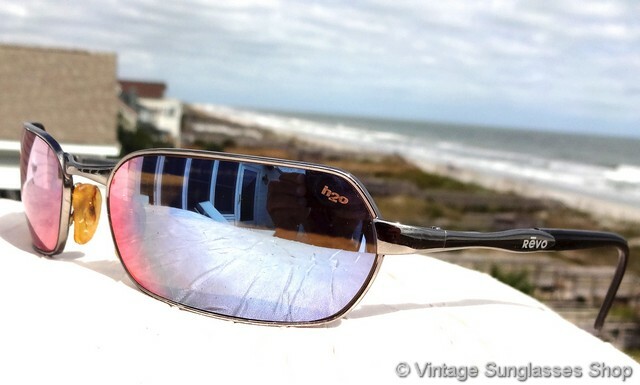 The chrome frame looks great with the stealth mirror lenses, and we like the way the chrome stems transition to black half way down with Revo logo near the hinges. 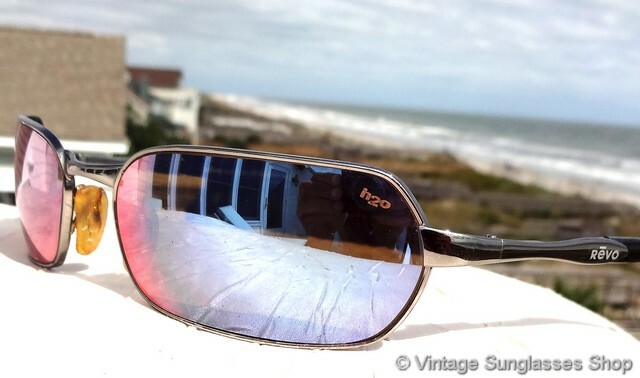 The right lens is laser etched Revo P and the left lens laser etched H20 to indicate Revo's advanced polarization, and the inside of one ear stem is marked Revo Made in Italy CE Polarized while the other stem is marked 3025 080/63 61  17 130. 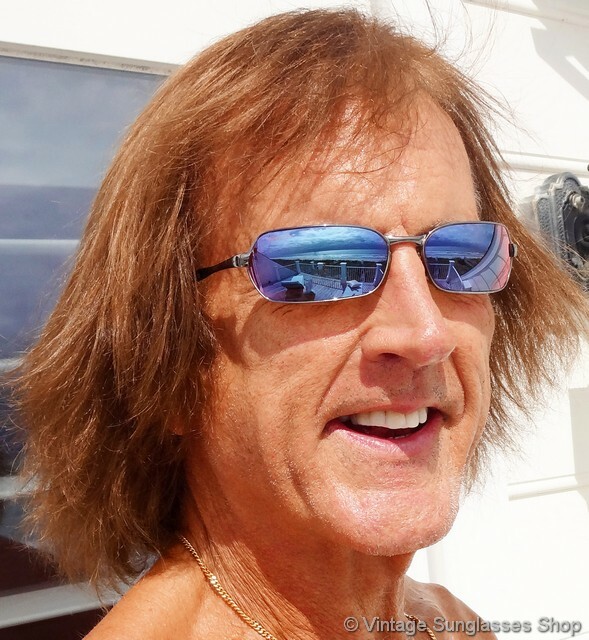 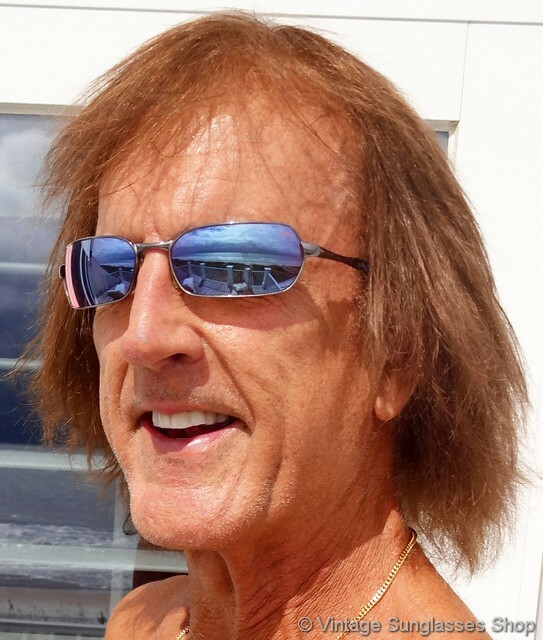 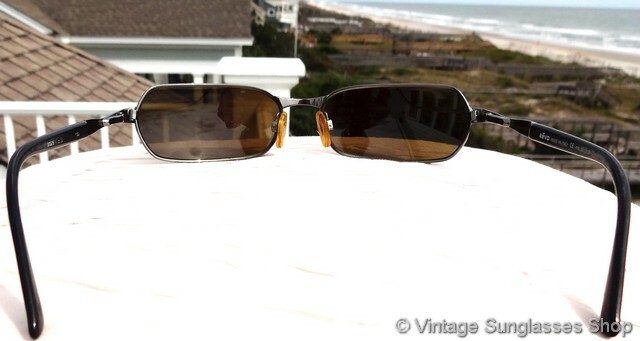 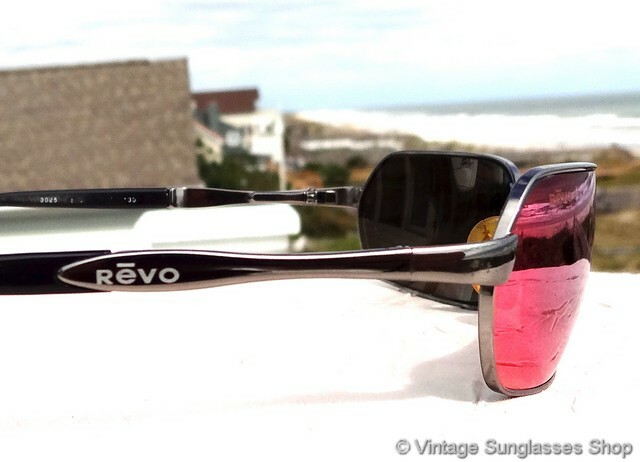 Revo 3025 sunglasses are one of the most popular vintage Revo styles from the 1990s, direct to you from a well known Atlanta, GA sports figure. 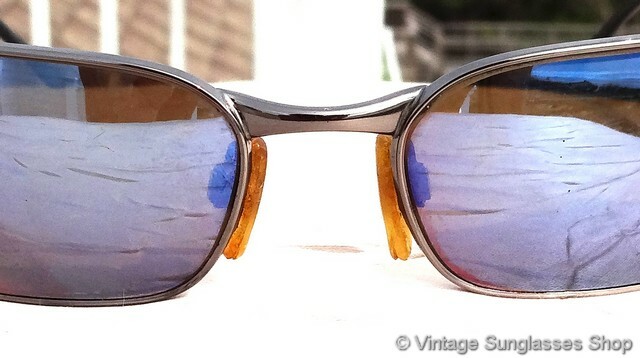 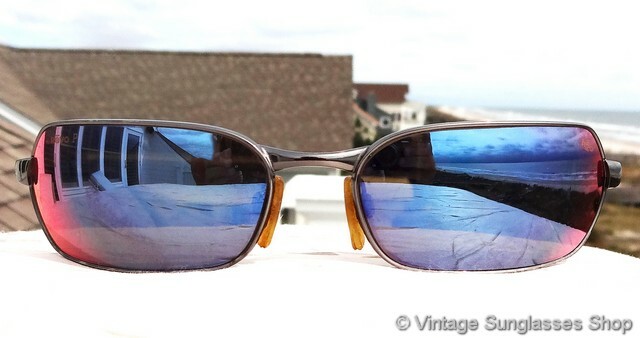 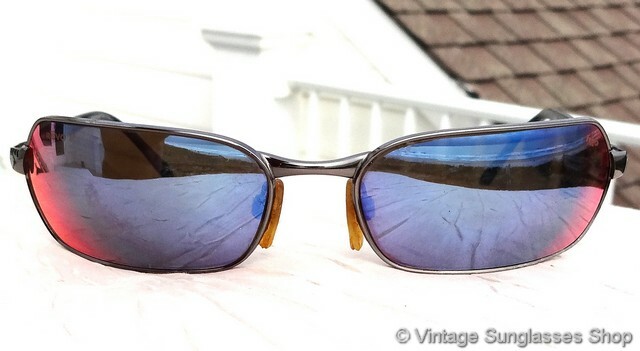 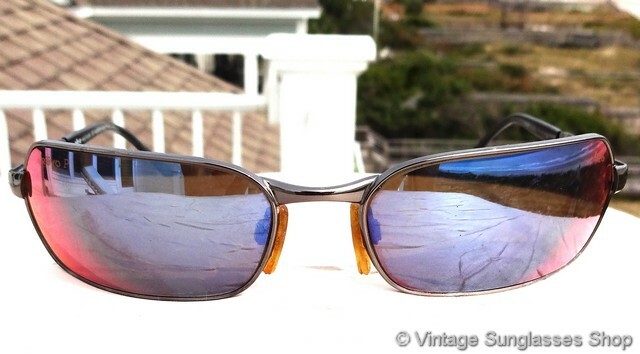 2 Step up another level beyond our already unequaled vintage condition standards with new old stock Revo 3025 stealth mirror H20 sunglasses in mint, unworn condition.